Our Honda dealership proudly offers the all new Honda Insight near Lithia Springs, Georgia. This beautiful four-door hybrid car offers a efficiency and versatility. The Insight’s fold-down rear seatback and flexible seating configurations afford plenty of room for passengers and cargo. Standard features on the new Honda Insight include multi-angle rearview camera, Honda Sensing® safety and driver assist features and a choice of three drive modes: ECON/Sport/EV. 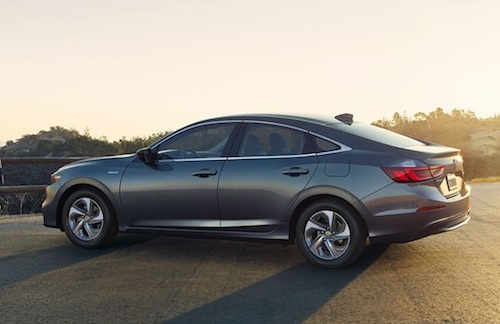 See our inventory of new Honda Insight hybrids online, compare prices, vehicle details and color options then come test drive the new Honda Insight near Lithia Springs, GA.